In honor of the BCS Championship (I was rooting for Oregon, if anyone cares), I decided to make some chicken wings to accompany beer and legitimize the game watching. I researched various recipes, trying to minimize the unhealthiness of the dish. I came across this one, which was essentially just baking with spices, and decided it’s hard to get healthier than that. I made my own mix of seasoning, and would encourage everyone to do the same. I love garlic, hence both crushed garlic and garlic salt, but I also wanted to add texture to the crispy chicken skins, so red pepper flakes, minced onion, and the garlic itself helped with that. Also made these for our “Gourmet Game Day“! Preheat oven to 375°F. While it is heating, wash the chicken wings thoroughly and drain the excess water. 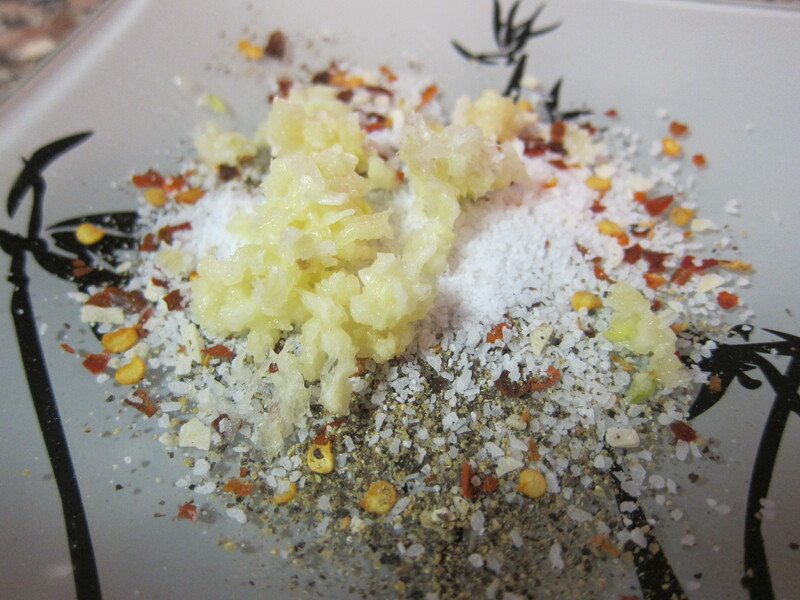 Mix your seasoning to your liking and apply generously to each chicken wing. 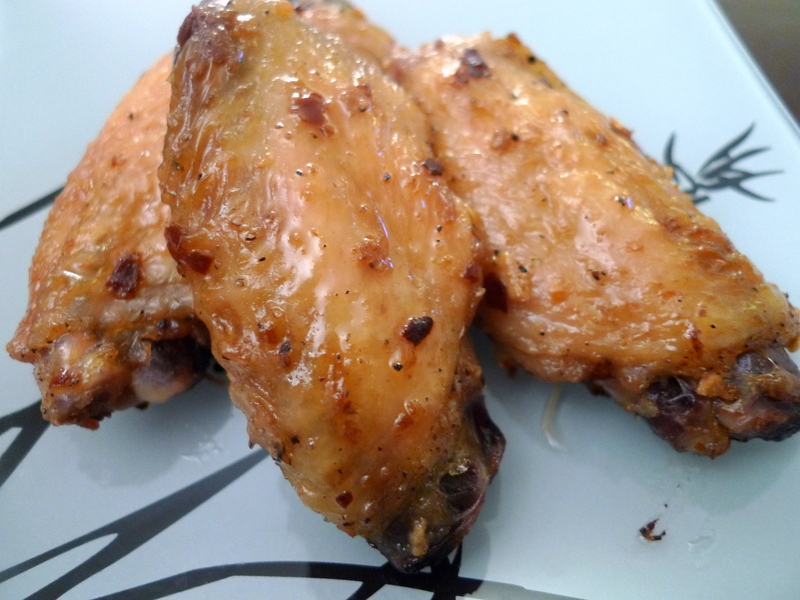 Take the olive oil and either sprinkle over the chicken and then rub in each wing, or pour on each wing and rub as you go through all your wings. 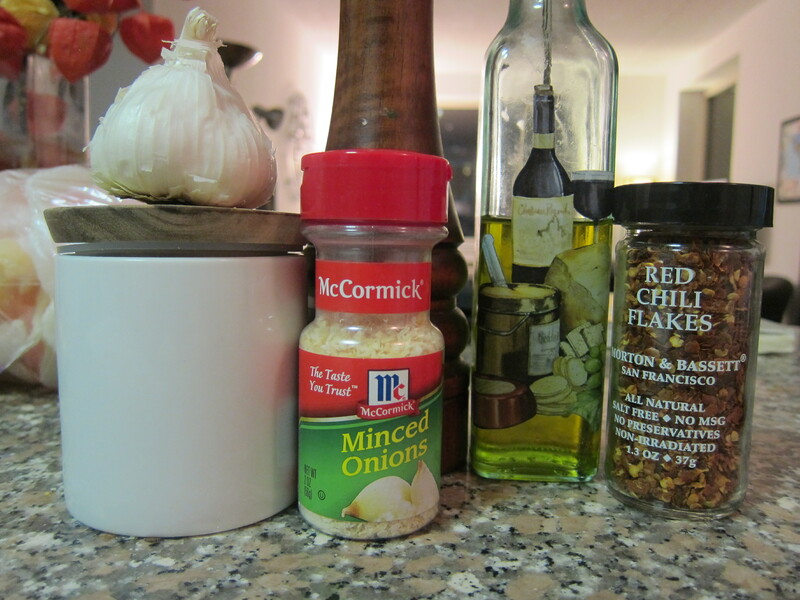 It is important to rub all the spices and olive oil in, don’t be shy about that. Cover a baking sheet with foil. 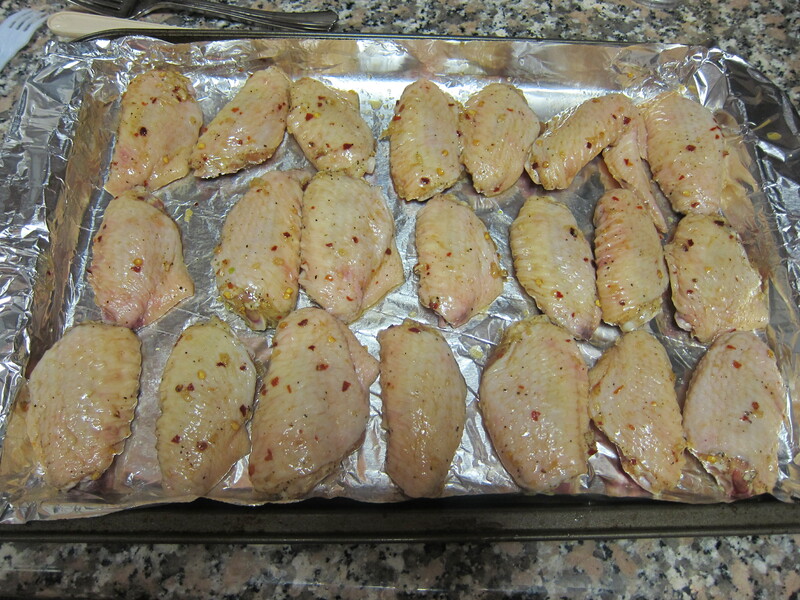 Arrange the chicken wings on the baking sheet. They may be touching, but make sure they do not overlap so that each wing bakes thoroughly. 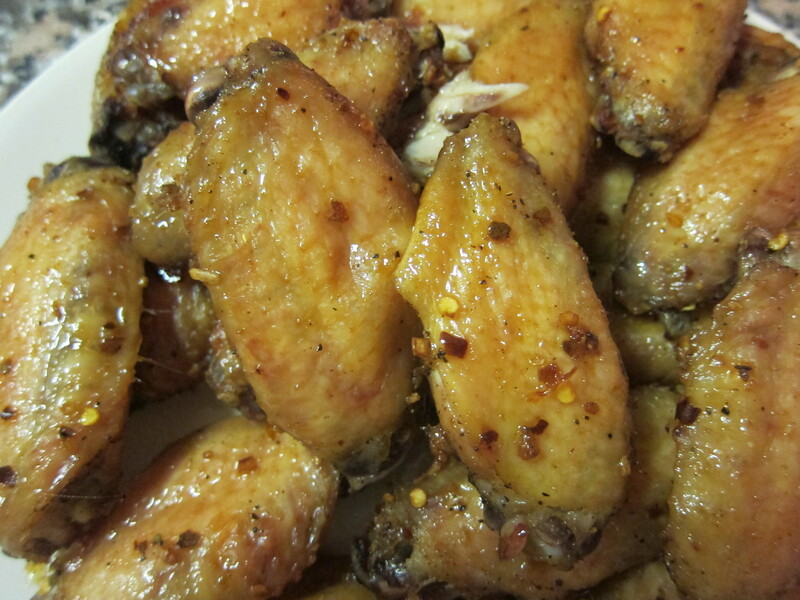 Bake for 50-60 minutes, depending on the size of wings and desired crispiness. I checked my wings after 45 minutes just to see how they were doing, and then left them in for another 10 to crisp up a bit. Serve and enjoy! Those look soooo tasty! I want to lick my screen! !